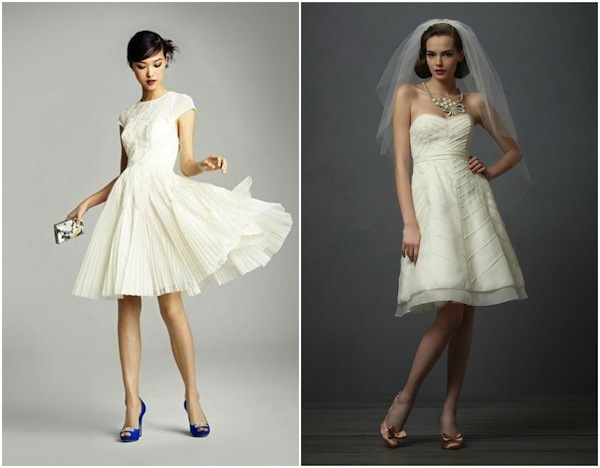 Sweet and chic, short wedding dresses are all about comfort and effortless glam. Not only are they generally more affordable than longer wedding dresses, but the overall look can be easily changed with just a few fabulous accessories. The best thing about short wedding dresses is that they can also be worn again after the wedding. That’s right – that’s almost unheard of when it comes to wedding dresses! With the right accessories, switch your look from day to night in an instant! Cropped dresses are popular because they can be less fuss and allow for greater movement, perfect for wedding locations like beaches and gardens. Keira Knightley inspired us with her short corset ballet dress and it seems fashion designers worldwide are embracing the short bridal dress. Bridal fashion powerhouses like Marchesa, Reem Acra, Oscar de la Renta and Monique Lhuillier all included short bridal gowns in their recent Spring 2013 collections shown at New York Bridal Fashion Week. We love them because they are still beautiful, sophisticated and classic while allowing the bride to move freely and enjoy the day. When it comes to accessorising short wedding dress for your big day, choose accessorises that will reflect your fun and sophisticated side. It’s easy to transition from aisle style to evening soirée with a sparkly clutch, statement necklace and fun shoes and you’re good to go. Go nuts with your shoes. They’re on display so why not show them off. Think bridal booties and killer stilettos to a fun pop of colour. It’s all about balance and ensuring your accessories are in proportion in size to you and your dress. Statement headpieces or necklaces are a big yes. Find statement pieces that work in harmony with your dress and show off your dress as well as your personal style. If you’re thinking about wearing a wedding veil, the answer is yes! But choose a veil that falls to the shoulders, waist or hip. Two tiered veils work beautifully and will draw attention to your waist line. Avoid veils that extend beyond the hem of your dress or fall to the floor. And last but not least – birdcage veils and short wedding dresses go together like peas and carrots. A must for any vintage inspired bride! Now here’s the fun part! Getting more than one wear out of your wedding dress! 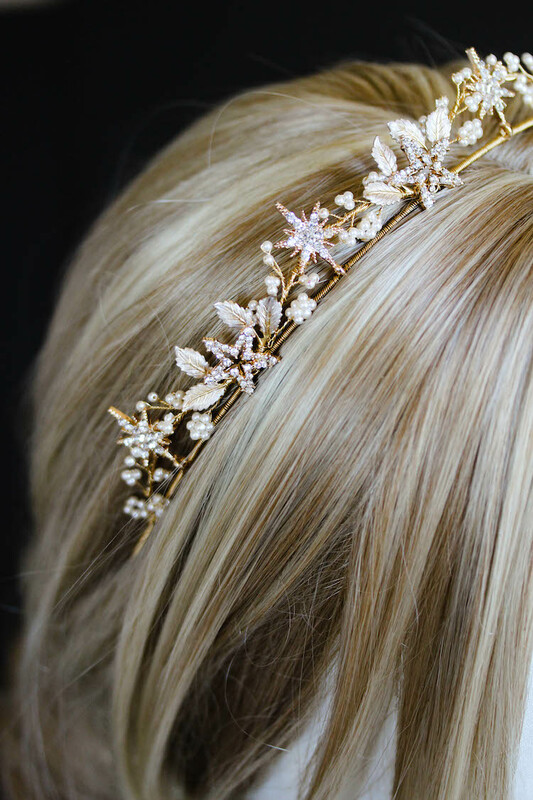 When it comes to styling a wedding dress after your wedding, it’s all about the accessories. Your accessorises will depend on the silhouette of your dress, the detailing and your personal style but have an open mind and think outside the square. Team your dress with a cashmere sweater or cardigan, wear a statement belt or bright coloured shoes. If you’re feeling experimental, chat to your seamstress and see if they can alter the dress to take up the hem line, add sleeves or perhaps even change a flared skirt into a pencil skirt! This might be a great idea too if you have a long wedding dress and want to tailor it into a cocktail length gown.